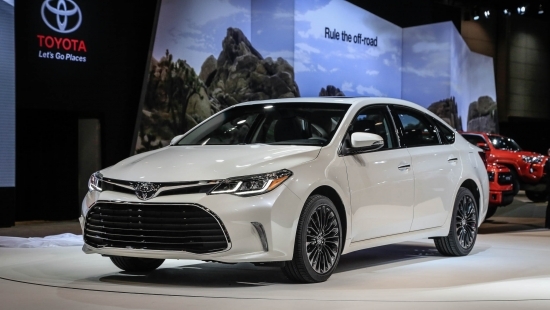 Toyota will be issuing a recall on 58,510 vehicles which impact both the Camry and Avalon with a model year of 2016. The issue has been identified as an incorrectly calibrated Occupant Classification System in the passenger’s side front seat. The OCS monitors the weight of the passenger and determines whether or not to turn on the air bags. With the calibration of the OCS compromised, the airbag might not go off during an accident due to inaccurate readings of the passenger’s weight. The recall will require dealerships to recalibrate the OCS free of charge to the vehicle owners. We encourage all owners to contact their local dealership for more information. 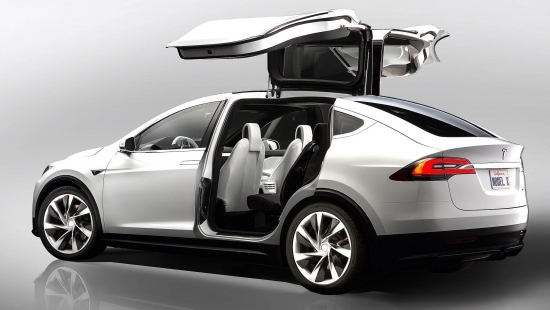 Tesla Motors Inc. will be issuing a recall on the Model X when the company identified an issue with the third row seat latch during internal crash testing. The issue is that during a frontal crash test using stricter European Union standards, a latch meant to hold the seat upright collapsed during testing. According to Jon McNeil, Tesla’s head of global sales and service, “We’ve had no issues with failures in the field. But consistent with Tesla’s approach, we’re erring on the side of putting our customers’ safety first.” The recall will impact approximately 2,700 Model Xs which were all destined for the US. Tesla plans to first contact all of the affected owners and provide them with details of the recall and instruction on how to get their vehicles repaired. Buick has brought over its made in China Envision to steal some of the crossover market from the Audi Q5, Acura RDX and Lincoln MKC. In terms of Buick’s lineup, it will slot in between the Enclave and Encore. The Envision will be powered by a 252 horsepower 2.0L turbo engine featuring start-stop technology and will be paired with Buick’s first twin clutch all-wheel-drive system. The interior comes standard with 8-way power adjustable front seats with adjustable lumbar. Taller passengers will be happy to hear they also include adjustable thigh support. Heated front seats, rear seats, and steering wheel are also standard. If you live in a warm climate, cooled front seats are an option. While Buick may be targeting the aforementioned vehicles, I think it will really being on the radar for those shopping the MKC and less so for those in the market for a Q5. 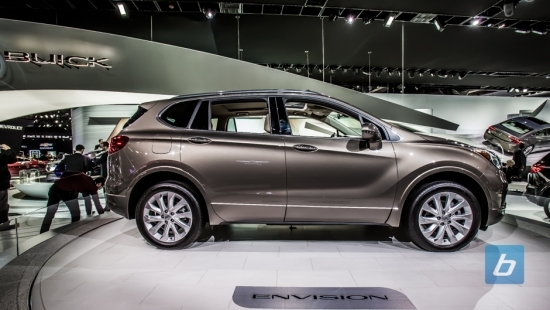 The crossover market is really crowded so we’ll see how well the Envision will do, but there really is no better time for Buick to try to gain some crossover market share. American’s love to buy Chinese made products that sound like they are made in the USA so on that account, they should snap up the Envision like hot cakes. If you’ve already read about the B9 Audi A4, you may be cringing at my choice of a title as the B9 hardly deserves to be referred to as “all-new”. 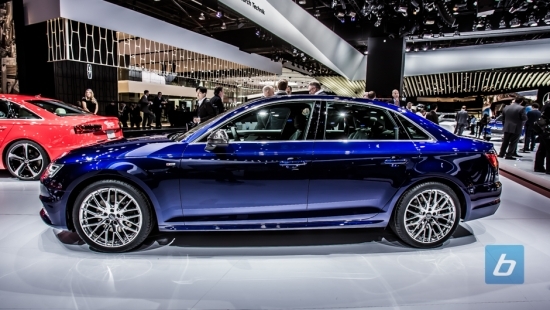 It looks like a mid model refresh of the B8 with updated styling cues taken from the A3. Audi’s new Head of Design, Marc Lichte likely didn’t want to make too many big changes to one of Audi’s best selling vehicles. As the adage goes, if it ain’t broke, don’t fix it! Up front the headlights receive a small adjustment with them flaring upwards a bit more towards the side giving the front end a bit of a meaner look. Oh, and before you ask, no the matrix LED headlights found on the European A4 will not be available for North American bound A4s. The hood looks more edgy for lack of a better word and the lower front fascia has a sharper design to it than than on the B8. Running down the sides you’d be hard pressed to notice any differences aside from the wider bevel. Out back, the new wider angled taillights suit the A4 much better than the ones found on the outgoing model and instantly make the B8 taillights look dated. It looks especially good on the estate models, but we’ll have to see if that carries over to North America in the Allroad as the estate model likely won’t make it here. What the new A4 lacks in terms of radical restyling on the exterior however, is made up by the modernization of the interior. The Audi Virtual Cockpit, which made it’s debut in the new Audi TT makes its way into the B9 A4, and will surely be the most talked about feature in the B9 A4. It is a 12.3″ screen that replaces the conventional cluster, configurable by the driver to display the info they want to see. An 8″ screen sits near the top of the dash above the vents and central stack. Other notable features include support for Apple CarPlay as well as Android Auto and an optional Bang and Olufsen sound system featuring 3DSound, a 19-speaker setup to rattle your eardrums. Under the hood there will only be a single engine option, the 2.0L TFSI also found in the A6 and A7. No word yet on whether or not there will be TDI options in future model years, but it won’t be available at launch, which will be in just a few months. 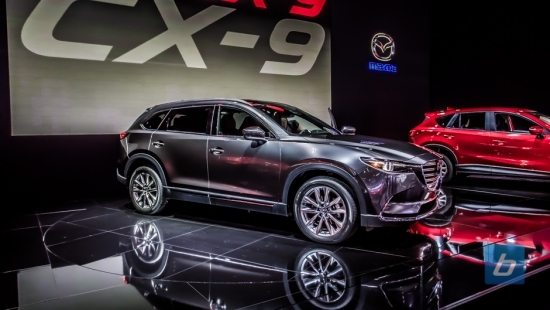 Last year at the LA Auto Show, Mazda unveiled their new baby-ute, the CX-3 and also gave the larger CX-5 and Mazda6 design refreshes and now for the 2015 edition of the LA Auto Show they complete their crossover makeover by giving the CX-9 the overdue refresh with their KODO design. When I saw the CX-9 with the updated KODO design language for the first time, all I see is skeptical dog (google it if you don’t know). I guess the design doesn’t translate well into a full sized, three-row crossover. The CX-3 and CX-5 both look great, but I’m undecided on the CX-9. This update wasn’t limited to just bringing over the new design language to the CX-9, Mazda made quite a few changes. For starters, the new CX-9 is just over an inch shorter than the outgoing model, but the wheelbase has been extended by over 2 inches resulting in much more room in the rear. The tapered fenders and shorter overhangs both in the front (2.3 inches) and in the back (1 inch) give the appearance of a wider more aggressively looking vehicle. The paintjob you see in our pictures, Machine Grey, is the newest color choice available for the CX-9. Under the hood, Mazda has done what every manufacturer has done in recent memory and have chosen to go with a turbocharged 2.5L four-cylinder instead of a V6. What’s new however is what Mazda calls a “Dynamic Pressure Turbo”, the world’s first turbocharger with the ability to vary the degree of exhaust pulsation depending on engine RPM. At low RPMs exhaust gases are routed through a smaller outlet allowing the turbo to spool quicker creating instant boost up to 17.4 psi. At higher RPMs, exhaust gases are routed through larger valves allowing more exhaust gas to pass through the turbo. Just think of a garden hose when you put your finger over the end. The end result? 310 lb-ft of torque at just 2000 RPM and 227 horsepower at 5000 RPM on 87 octane fuel. Fill up with 93 octane premium and that figure jumps to 250 horsepower. A fuel line recall has been issued by Porsche Cars North America, Inc. which affects 21,835 vehicles. The recall is focused on 2015-2016 Macan S vehicles with a manufacture date between March 27, 2014, to October 27, 2015. The recall also extends to 2015-2016 Macan Turbo vehicles with a manufacture date between March 5, 2014, to October 27, 2015. 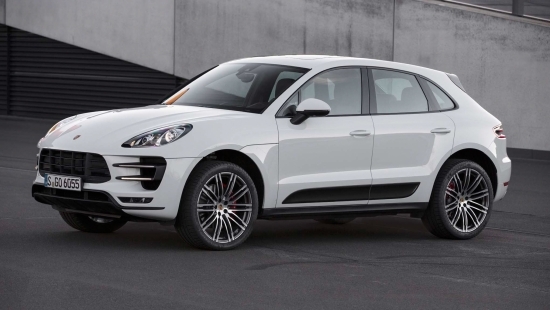 Porsche Cars North America, Inc. says the recall is to fix a low pressure fuel line in the engine compartment that could possibly leak and result in a fire risk as it is isolated to an area with an ignition source. Owners will be notified to bring their vehicle in to their local dealership for the recall to be completed. Dealers will fix the problem by installing a redesigned and improved low pressure fuel line at no cost to the owners. Due to parts shortages, owners should have received initial correspondence from Porsche Cars North America, Inc. on November 9, 2015 and a follow up notification will be mailed once parts are available. Owners are encouraged to contact Porsche customer service at 1-800-767-7243 for any additional information referencing recall number AF06. 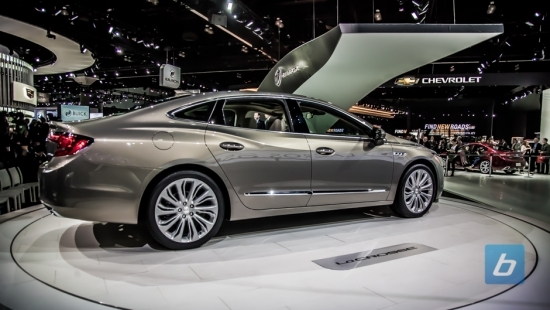 Buick’s presentation was basically buddy reading off a bloody spec sheet. Yes, I remember the Avenir concept. No, I don’t think the new LaCrosse looks like it. Yes, I like the tri-colour logo. No, I don’t think you should call it “new”. Yes, I appreciate you telling me about the all-new chassis with five-link rear suspension. No, I don’t think you should have ended the press release there. Anyway, once the presentation was done I went back and wrote “This is what Lincoln should be doing”, and by that I mean that they’re copying Cadillac. Or maybe going for a slightly more usable, less performance-oriented Cadillac. Which is still way better than whatever Lincoln is thinking. Seriously though. They took a good car in the LaCrosse and made literally everything better. 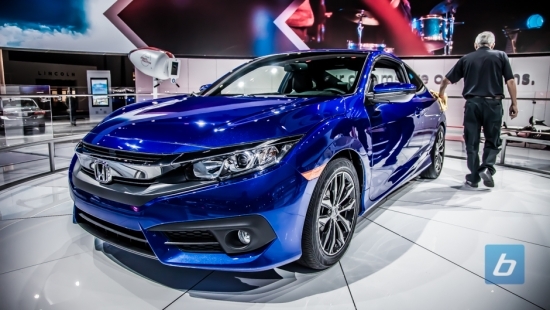 The new LaCrosse is lower, wider, stiffer, and 300lb lighter than the outgoing model. It’s got available active suspension, active grill shutters and, notably, dual-clutch AWD providing legitimate torque vectoring, which is something rarely seen in luxury sedans. In terms of performance, the new LaCrosse is leagues ahead of the old one. In fact the only problem with it is the lack of a more powerful engine. It looks like the LaCrosse is stuck with the 305 hp V6, and although it’s paired with a nice 8 speed automatic, it seems like this car is begging for the extra 100 hp of the turbo variant that their sister Cadillacs get. Almost as dramatic as the performance improvements are the new looks. Buick made a big deal of bringing back the tri-colour logo, but the rest of the design is what deserves the attention. 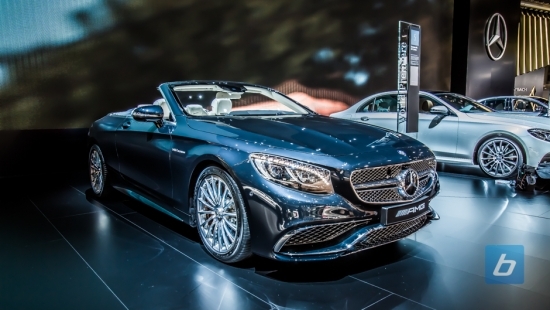 The new front end is a nice blend of Mercedes and Chrysler. That maybe doesn’t sound like a compliment, but it works. The rear looks modern and the wheel suit the car. I’m not big on the silhouette but, like the rest of the car, it’s a big step forward. Of course the interior is well appointed. It’s plush and soft but without making you feel old. Wireless charging, lumbar massage, collision avoidance, park assist, and CarPlay/Android Auto are just some of the cool tech that the new model receives. It’s still what you’d expect from a Buick, so there’s not much to say. Honestly, if you’re looking at a mid-size sedan these days, you’re spoiled for choice. 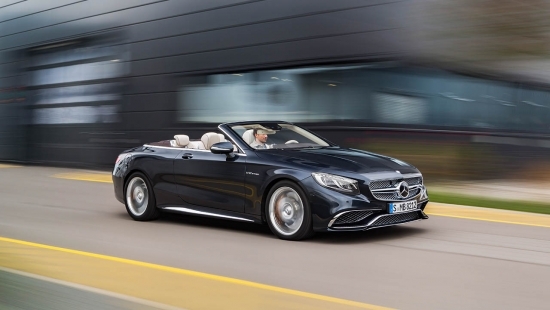 Is this going to compete with a C-class for luxury, or a 3-series for sportiness? No, definitely not, but it can definitely hold its own against Lexus, Lincoln and even Audi right now.